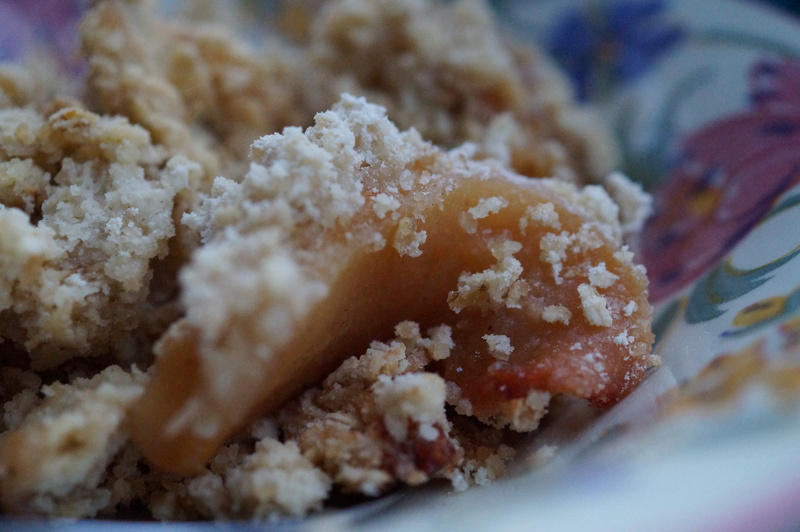 This week I decided to write about Rhubarb. 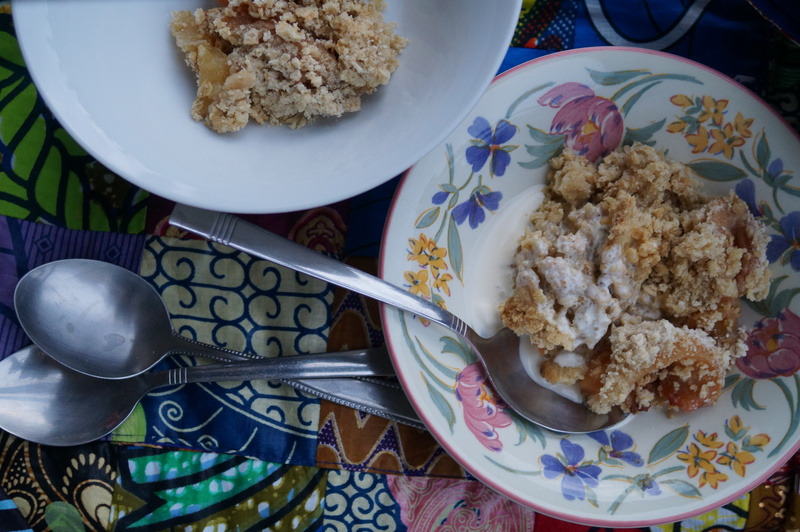 After much thought, research and contemplating possibly pairing it with fish, constructing an elaborate sarnie or shaking a cocktail I opted for a good, old fashioned rhubarb crumble recipe to banish a few winter blues. But hey there, hang on, where’s all the rhubarb?! I thought it was forced rhubarb-o’clock…am I wrong? Or, did you eat it all while I’ve been sleeping? Anyway, after traipsing round 3 supermarkets and at least 6 grocers this week I am still rhubarb-less. On my way home yesterday (past the final green grocers before our street) my flatmate Damian spotted a big pile of quince. 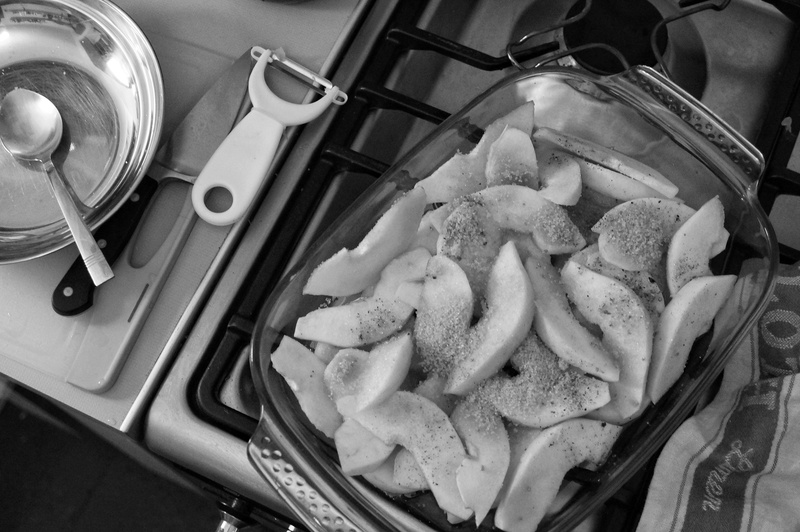 I haven’t cooked with quince before so I was quite excited to give it a go. Also quince gets a nice mention in the poem The Owl and the Pussycat which we had been discussing earlier that afternoon after spotting someone sporting a rather fetching Christmas jumper with an owl design on it on the Piccadilly line. 1) Preheat the oven to 190°C. 2) Peel, core and slice the apple and the quince. 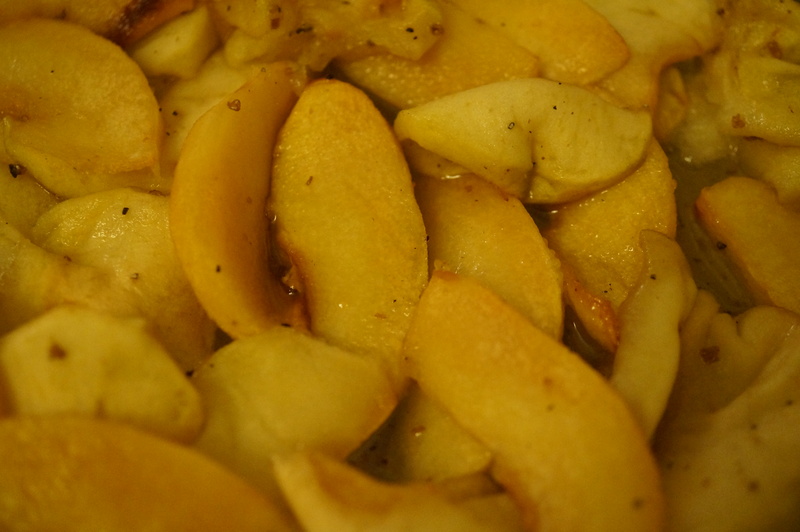 Lay the slices in a large ovenproof dish and pour over 100ml of water, the ground cardamom and 50g of sugar. 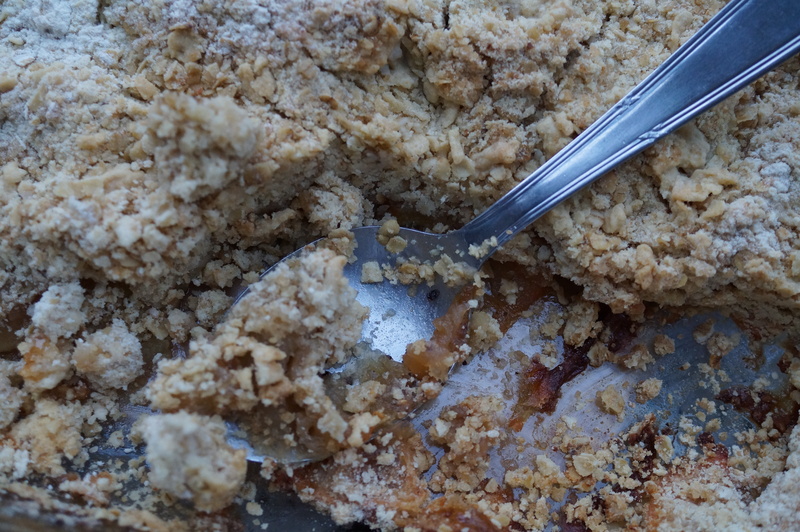 3) Bake in the oven for 45 minutes (stirring occasionally to ensure that the top layer of fruit doesn’t get scorched). 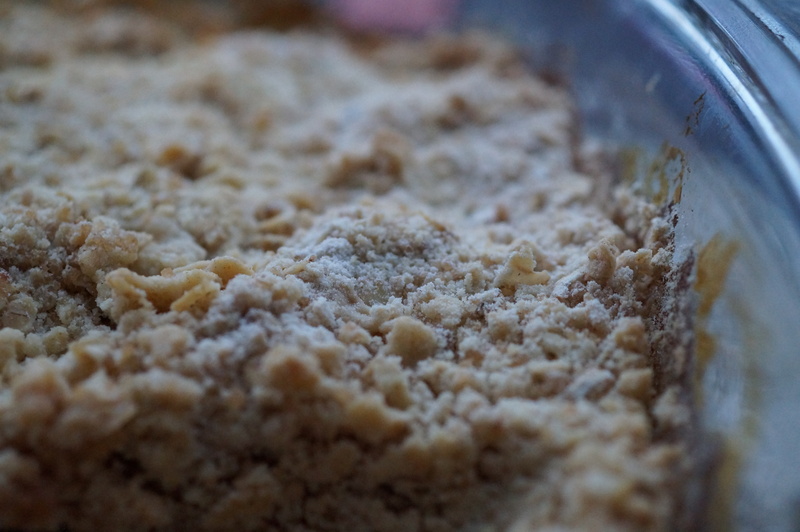 4) Meanwhile, make the crumble topping by rubbing the flour and butter together between your fingers until it resembles fresh breadcrumbs. 5) Now stir the remaining sugar, oats and salt into the flour and butter mixture and set aside. 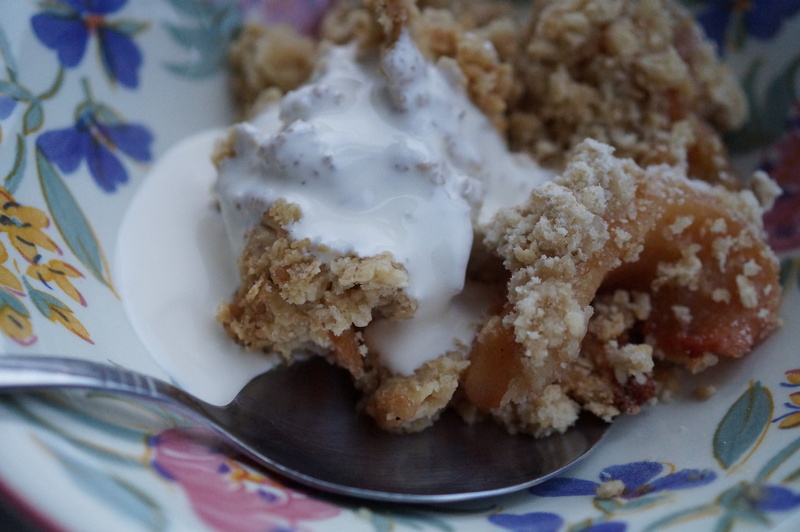 6) When the fruit is soft sprinkle over the rosewater and then cover the fruit with the crumble topping. 7) Return the dish to the oven for 25-30, minutes or until the topping is crisp and starting to turn golden at the top and edges. 8) Serve with custard, cream, yoghurt or ice cream.